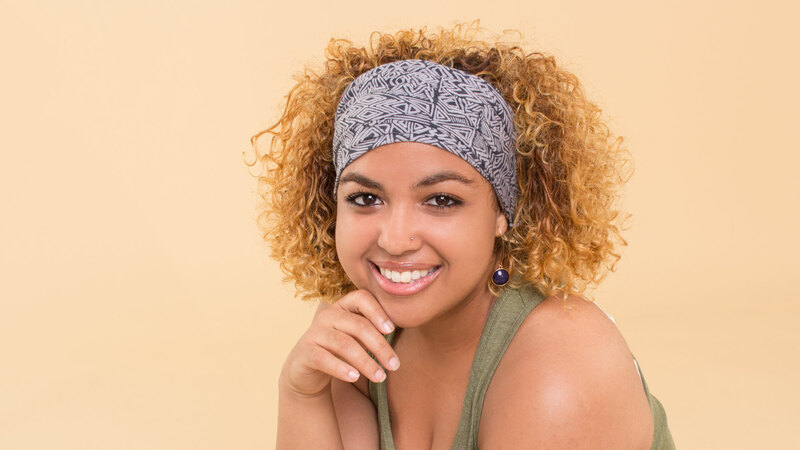 Wear it like a regular headband, just scrunch it up and push it back for a classier casual look. You can take the knot in the center and tie it around itself to make a more prominent focal point. Wear with your hair up for a night out! Pair with our wrap dress for a complete look. Didn’t want to waste water this morning? Stayed in bed too long? 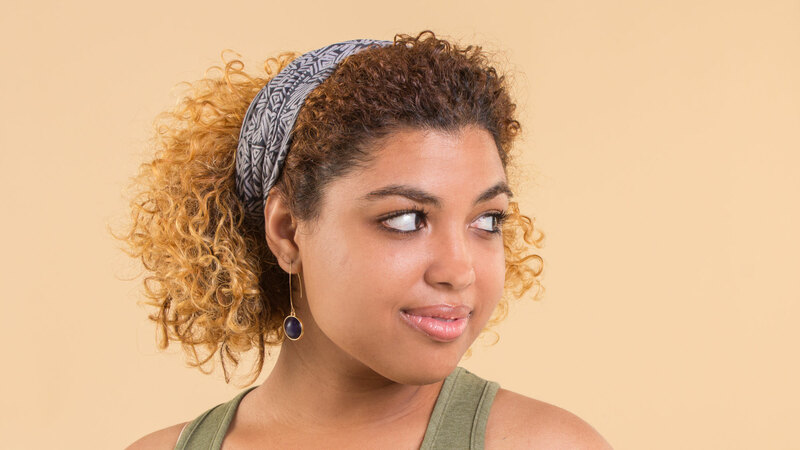 Wear the bandeau headband wide and slide the knot to the back of the headband. Just enough pattern to add some excitement to your outfit. This look is great for yoga or any workout too, keeps the sweat off your face! Feeling a little femme today? 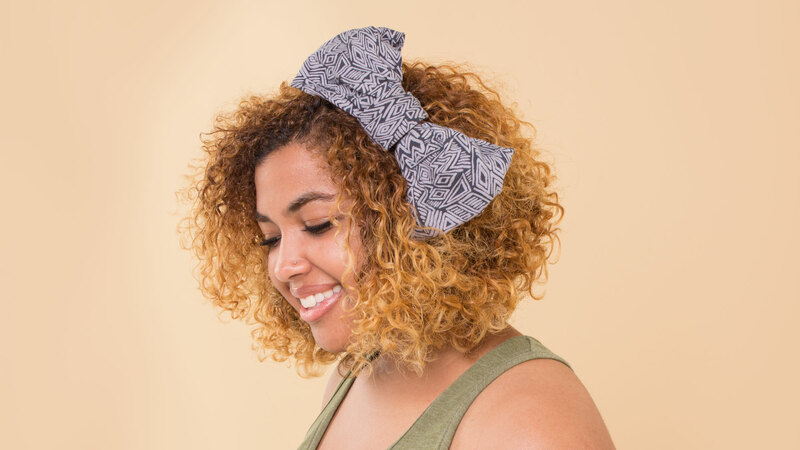 Make this headband into a statement bow. Take two hair ties and wrap them around each side of the knot, tucking the knot into the tie so it hides it. Then secure in your hair with bobby-pins! Scrunched with knot in the top for a wild but put together look. Hair loose or up goes perfectly with this style! Have an art show or dinner party to attend? 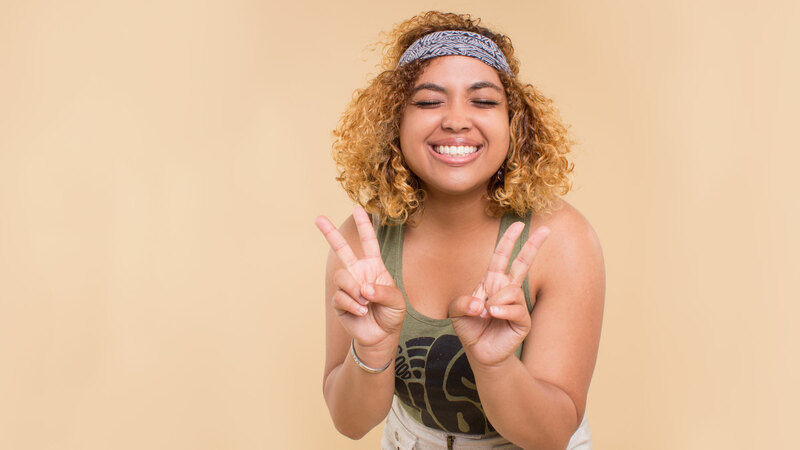 Rock those eco vibes with the tied knot to the side and your hair in a sweeping side bun or creative braid. Pair with boho earrings! Keeping in simple? Hippie boho style, scrunched and around your hair. 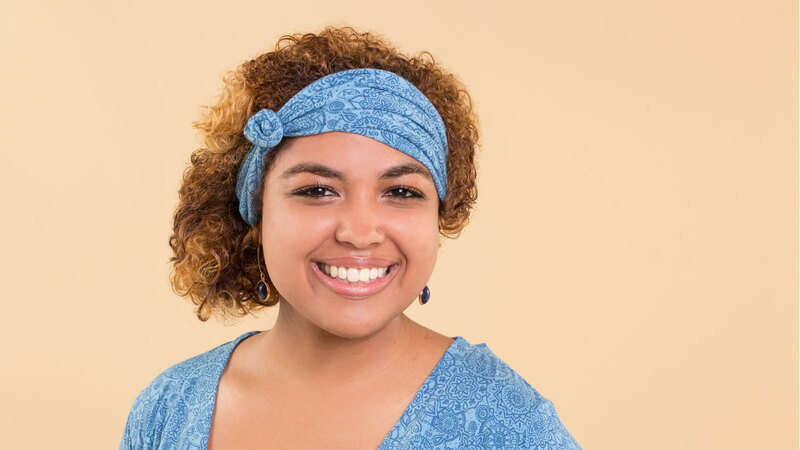 Want something a little more creative: tuck your hair into the bando headband (wrap end up and over headband and pull it through behind the band) and when you take it out later your hair will have natural curls! Want a little scarf? 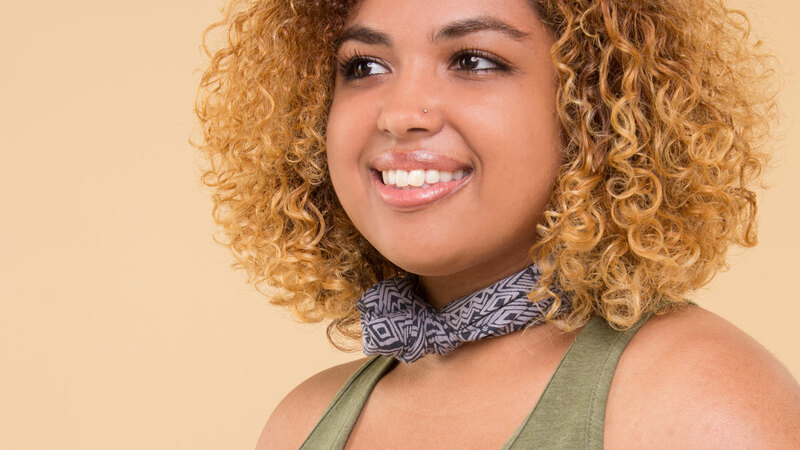 Tie up knot into flower shape and rock alone or with layers of boho necklaces! 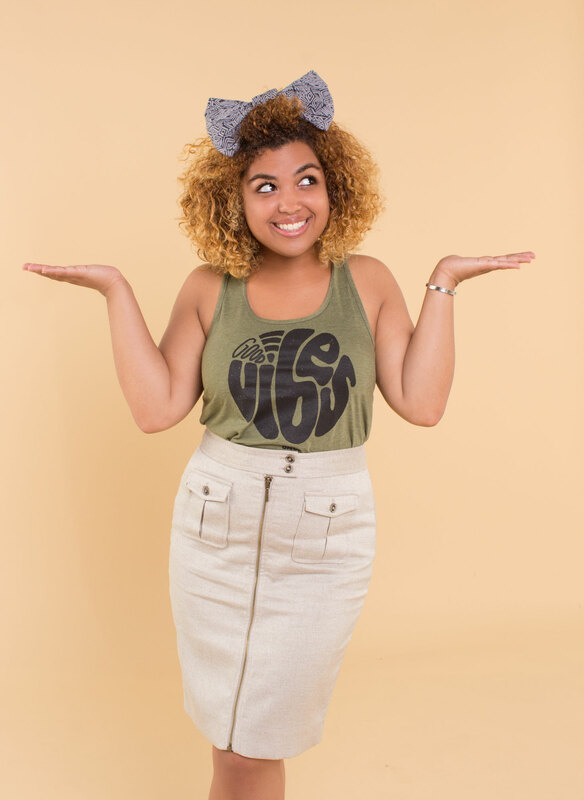 Happy Boho Bandeau Headband Wearing! Would love to see headbands on shorter haired women. 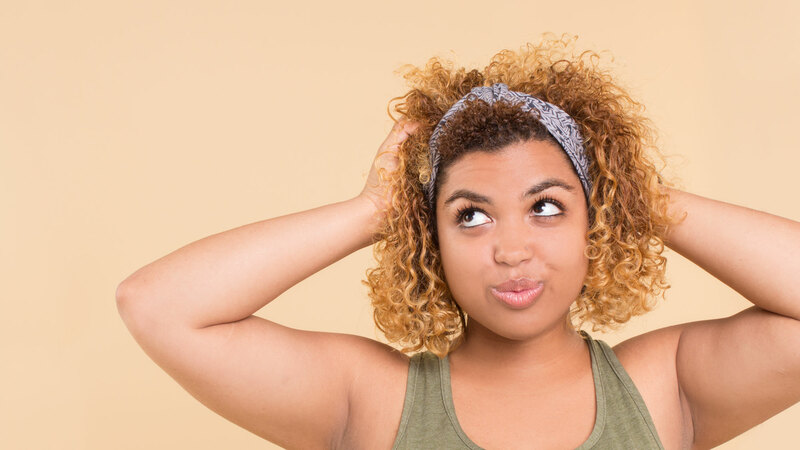 Something great about the shortest hair with a headband in it – the juxtaposition is pretty. Great suggestion, we will keep it mind with upcoming photos!